The Department of Music in the The School of Arts and Social Sciences welcomes Caroline Bithell as part of its 2017-18 Research Seminar Series. The seminars are open to all - no registration necessary. Georgia (Caucasus) offers a compelling case study for examining the potency of musical legacies in societies undergoing radical transformation. UNESCO’s proclamation of Georgian Polyphony as a Masterpiece of the Oral and Intangible Heritage of Humanity in 2001 added fuel to the new era of musical renaissance sparked by the dissolution of the Soviet Union. In this presentation I explore the ways in which Georgia’s extraordinarily rich heritage of polyphonic song articulates with the country’s aspirations to reinvent itself as part of the new Europe, and how this reorientation is in tension with the Soviet legacy that continues to colour new directions. With reference to current concerns in revival and heritage studies, I unpick the discourse of authenticity that continues to drive cultural politics in Georgia. Top-down safeguarding strategies now have their counterpart, however, in new grass-roots initiatives. Of particular interest here are the summer singing camps that allow ‘foreign’ enthusiasts to study with village songmasters – a trend that offers alternative perspectives on questions of sustainability. The talk will be illustrated with video footage of a range of ensembles whose performances of traditional music and dance reflect very different understandings of the place of heritage and the function of music-making in contemporary society. 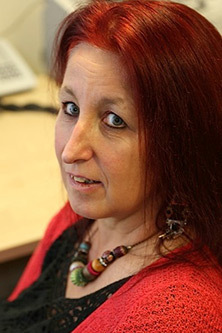 Caroline Bithell is Professor of Ethnomusicology and Head of Music at the University of Manchester. Her research specialisms include polyphony in oral traditions, music revivals, the politics and aesthetics of world music, music and political activism, intangible cultural heritage, and cultural tourism. She is the author of two monographs, Transported by Song: Corsican Voices from Oral Tradition to World Stage (Scarecrow, 2007) and A Different Voice, A Different Song: Reclaiming Community Through the Natural Voice and World Song (OUP, 2014). She is also co-editor of The Oxford Handbook of Music Revival (2014). Her current research focuses on Georgia (Caucasus), alongside ongoing work on amateur singing and local musicking.